Aluminum bottle slugs refers to aluminum slugs for aluminum bottle or aluminum slugs for bottle can, which is applied in beer bottle, beverage can and liquid drinking container. Aluminum bottle has a new era in the making of drinking container for it is light weight, repeatable tighten, hard to break, aluminum bottles fuse the various advantages of glass bottles and metal cans. So there are many enterprises need aluminum slugs for making bottles. Haomei Aluminum supply qualified aluminum slugs with different alloy, temper and shape for different usage, the aluminum bottle made from haomei aluminum slugs are welcomed by the consumers. The aluminum bottle has the characteristics of safety, reliability, high anti-counterfeit, good sealing, high strength, convenient transportation, light quality and so on. 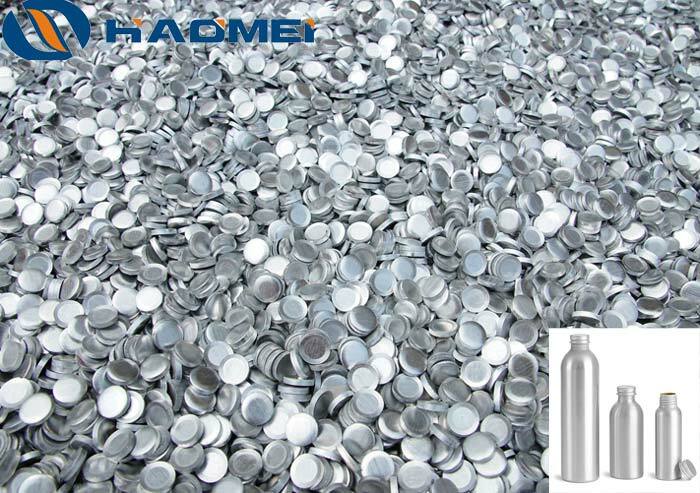 Aluminum bottles are the most sustainable beverage package on virtually every measure, the same as aluminium slugs for aerosol cans, it is especially suitable for packaging products such as chemicals, pesticides, pharmaceuticals, beverage and cosmetics. Aluminum bottles have a higher recycling rate and more recycled content than competing package types, it is an ideal packaging product which is green environmental protection. And aluminum bottles are far more valuable than glass or plastic, helping make municipal recycling programs financially viable and effectively subsidizing the recycling of less valuable materials in the bin. Wanna to buy aluminum slugs for aluminum bottle please contact us by email or phone.